I can definitely feel summer just around the corner and even more so now that we are heading out of dodge for a family vacation to the Rocky Mountains. This is the first time the three (and a half) of us have been on an extended trip – alone – without big plans or a family gathering of some kind. I can honestly say, that beyond knowing where we are going to stay, we have absolutely nothing planned. No agenda. Nowhere to go. Nothing we have to do. And that’s what I call a vacation! I only have a few intentions set for this trip: 1) to spend as much of the waking day outside – in nature – as possible, 2) to throw away any sort of daily routine we are used to and never look at a clock, 3) to meet my virtual pal, Suzy, in person 4) to eat really well and 5) to relax and be fully present with my two favorite boys! I am also planning to “unplug.” I know that I’ll have to check my phone a few times and will post some photos to Facebook, however, I’m taking an extended break from the blogging world. So, I leave you with just a few reminders while I’m gone. Inside Out e-course starts June 21st! A BIG thank you to Hip Mountain Mama for the opportunity to be a sponsor for One Small Change. Visit HERE to see the sweet little write-up she shared about Inside Out. Summer Camp e-course starts in August! 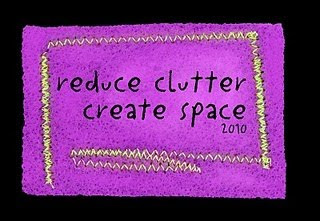 This is my newest class that I’m still adding a lot of yummy, messy, fun art and exploration to. I haven’t shared any details about the course yet, but you’ll learn more when I “plug” back in to my blog some time in June. 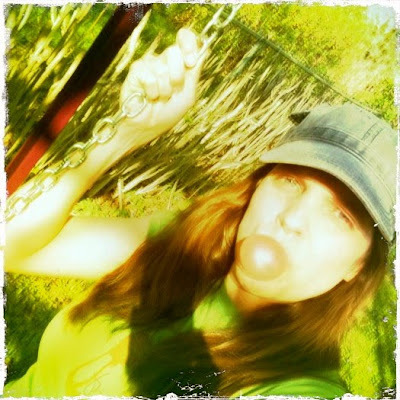 Your Personal Reflection: I feel totally alive and rejuvenated when swinging on a warm day, feeling the sun on my skin and the wind in my hair, while chewing the juiciest piece of strawberry bubble gum. When do you feel free? I wish you THAT kind of day. sounds wonderful Shannon – hope you have the greatest time, you've worked hard! I know because I can feel it too now that I'm finishing up the first experimental art e-course. I too need to unplug for a while . . . . look forward to checking out your new course. I hope you've seen your interview up over at mine, it looks fab! Thanx Shannon for your LOVEly cards!!! I've made a link on my blog. Yay…looking forward to meeting up! WEEEEEEEEEEE! Hope you are having a fantastic time! What are you doing reading this? Go back out and PLAY!